Hold on to your hats – there’s quite a breeze blowing through the Covent Garden auditorium during new ballet work ‘The Wind’. Three imposing wind machines blast the dancers throughout, and part-way through are turned to face the audience. And that’s not the only thing that could ruffle your feathers. 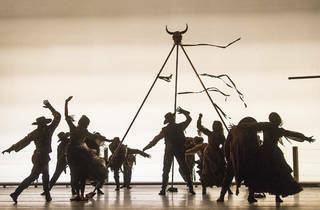 Choreographer Arthur Pita’s typically unnerving first work for the Royal Ballet main stage is a supernatural ballet-western, based on a 1920s novel (which became a film starring Lillian Gish) about a woman who succumbs to ‘prairie madness’ in the harsh terrain of Texas, and at the hands of even harsher men. 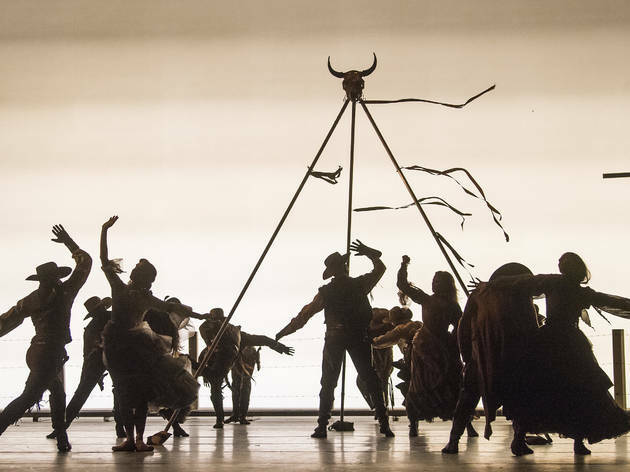 The raging gale generated by Jeremy Herbert’s huge, eerily quiet contraptions is practically a character in itself; it shapes the whole aesthetic of the dance, making all the costumes and props ripple and fly, impeding, then freeing the dancers’ movements. Natalia Osipova’s broodingly intense Lettie reluctantly marries Thiago Soares’s cow-puncher for protection – their fabulously awkward marriage scene, with her long veil soaring behind her, rather cleverly recalls the ‘You Were Meant For Me’ sequence in ‘Singin’ in the Rain’. But she’s raped by the cattle buyer (a perfectly menacing Thomas Whitehead) and reels towards revenge. All the while, Edward Watson’s ghostly Comanche warrior watches and whirls in the wind as Frank Moon’s cinematic score soars. 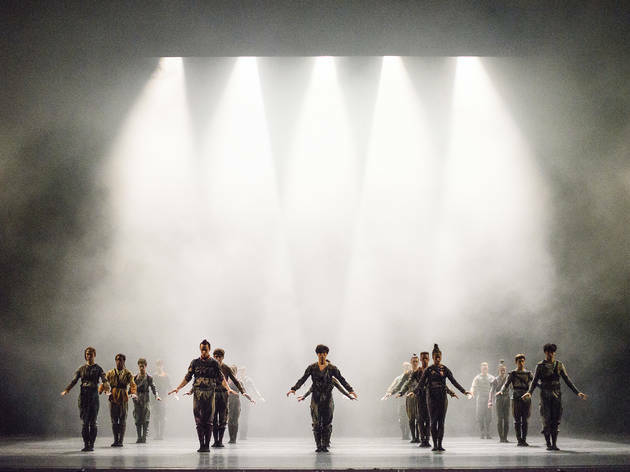 It’s full-throttle stuff, full of drama, and certainly an exhilarating breath of fresh air for the Royal Ballet. Twyla Tharp’s ‘The Illustrated “Farewell”’ is the other premiere of the evening. The celebrated American crossover queen has returned to Hadyn’s ‘Farewell Symphony’ (which she used to create a piece in 1973) and added a ‘prequel’ – an extended duet for Sarah Lamb and Steven McRae using the first two movements. The pair match the nervous energy of the first allegro assai with a blizzard of bravura moves that become entwined with more unexpected dance references –a ballroom hold, jazz inflections or skidding insouciantly across the floor. More dancers fill the stage for the original piece (created on the third and fourth movements). Mayara Magri and young artist Joseph Sissens are impressive among them as they create a swooping, sweeping multi-part harmony of movement, with Lamb and McRae gliding through the scene as though observing from a different dimension. There’s technical rigour and showbiz pizzazz, as you’d expect from Tharp – and a touch of dreamy nostalgia. 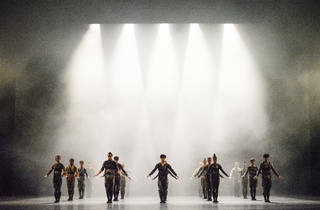 The reprise of Hofesh Shechter’s writhing ensemble ‘Untouchable’, however, doesn’t reveal much more depth to the piece. ‘Like Stomp, but without the dustbin lids,’ my companion for the evening observed. Nuff said.